“Claret is the liquor for boys; port, for men; but he who aspires to be a hero must drink brandy…There are, indeed, few who are able to drink brandy. That is a power rather to be wished for than attained.” – Samuel Jackson Sipping brandy neat—no ice, no mixer—is an acquired taste for most, and like virtually all players in the world of alcoholic delights, not all brandies are up to such naked scrutiny. Brandy, by definition is “a strong alcoholic spirit distilled from wine or fermented fruit juice.” Grape brandies come in many forms, be they the fiery, un-aged Orujos of northern Spain, the dry and complex French brandies of Cognac, the aromatic and potent Pisco of Peru and Chile, or the big and bold flavor bombs known as Brandy de Jerez. (photo by Patrik Nygren) While some of the cheaper varieties can be hair-raising endeavors, a good, complex, balanced brandy like those of Jerez de La Frontera of Spain, or Cognac and Armagnac of France, offer a downright delectable repast. Even the often-harsh “pomace” style brandies (distilled from fermented grapes skins, stems, and seed, such as the notoriously-intense Grappa of Italy), can be savored after a big meal in utter contentment when of a high quality. Lift the glass to chest height right after pouring and sniff to detect the most subtle and delicate of the brandy’s aromas (i.e the character of the grapes themselves). After a moment of rest, next lift the glass to your chin and sniff again. This second smell is more about the bouquet—the smells that are an effect of fermentation and aging, such as dried fruits and influences of the specific oak barrels used in the “solera” process (more on this in a moment). Finally, put the glass right over your mouth and nose and inhale through both, exploring the typical spiciness that arises from the aging process. 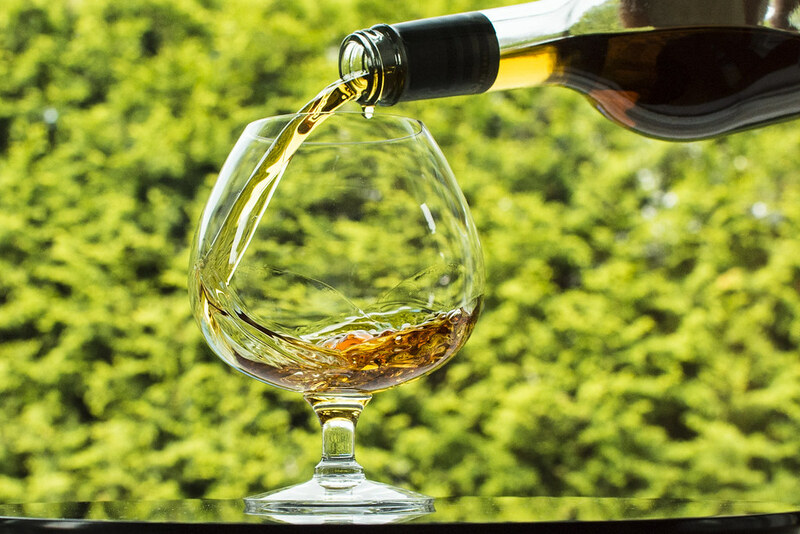 Once you have properly evaluated the complex character of your glass of brandy, it’s time to taste! The first sip should be as small as humanly possible—just enough to wet your lips. As previously mentioned, brandy can be a bit intense at times, and easing your palate into the tasting will warm up your taste buds for many, increasingly pleasurable sips to come. Brandy de Jerez is a complete unique product that comes with legal protection of “denomination of origin” and some required aging and standards that must be adhered to in order for the spirit to carry the designation of Brandy de Jerez on its label. If you have ever believed that “Spanish brandy is just a cheap Cognac,” you’re mistaken. (photo by Gonzalez Byass) Just as the wines of the world are composed of countless grape varieties and aged in a myriad of ways, Brandy de Jerez is unique in its grape base (mainly Airén and Palomino Fino) and in the journey that the spirit takes from its first fermentation, to distillation, to aging in the unique solera systems for which Spain’s “Sherry Triangle” is famous. The wine used to make Spanish brandy is generally very average, due to the unremarkable quality of Airén grapes themselves (recognized as the most widely planted grape on Earth). 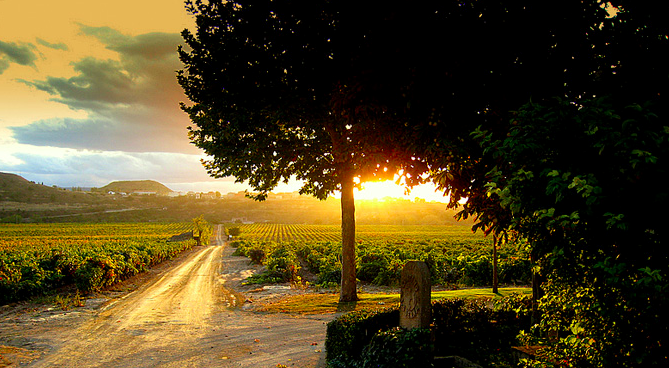 But, when Airén grape wine is distilled and aged, something magical occurs. In the three southern Spanish towns that make up the “Sherry Triangle” just outside of Cadíz (Jerez de la Frontera, Sanlúcar de Barrameda, and El Puerto de Santa María), both sherry wine (Vino de Jerez) and Brandy de Jerez undergo a progressive aging process though “criaderas” and the “solera” — a gradual transfer of aging wine and brandy from one American oak cask to the next. These barrels lay in big stacks at the sherry houses, and the movement of one quarter of the top barrel’s contents to the barrel just below it is aided by gravity and produces a consistent product while maximizing airflow to facilitate oxidation; a key to the distinct character of these unique wines. An essential part of the brandy making process in Jerez is that all Brandy de Jerez is aged in former sherry wine casks, whose original contents (be it the dry and light “fino” sherry, the rich and nutty “Amontillado” sherry, or the syrupy-sweet “Pedro Ximénez” variety) strongly influence the final character of the subsequent brandy. For example, a brandy aged in former “fino” barrels will be lighter in color and flavor than one aged in barrels that previously housed the more intense varieties of sweeter sherry wine. The history of distillation in Iberia is traced back to the Moors of Spain and Portugal, who brought with them from North Africa the knowledge of how to turn mild alcohols into powerful ones. Used almost exclusively for medicinal and perfuming purposes at first, alambiques (stills) soon made their way into Spanish winemakers arsenals, giving birth to an industry that, at the present, produces some 80 million bottles of Brandy de Jerez every year. The original stills in Jerez de La Frontera appeared in the year 900, though references to the drink that would later become brandy — known as aguardiente, or “fire water”—did not appear in print until the middle of the 16th century. In turn, it wasn’t until the later 19th century that major wine producers of the “Sherry Triangle” began bottling and marketing their brandies under distinct labels. The first international market for Brandy de Jerez was Holland, which acted as an intermediary, redistributing Spanish brandy throughout northern Europe. 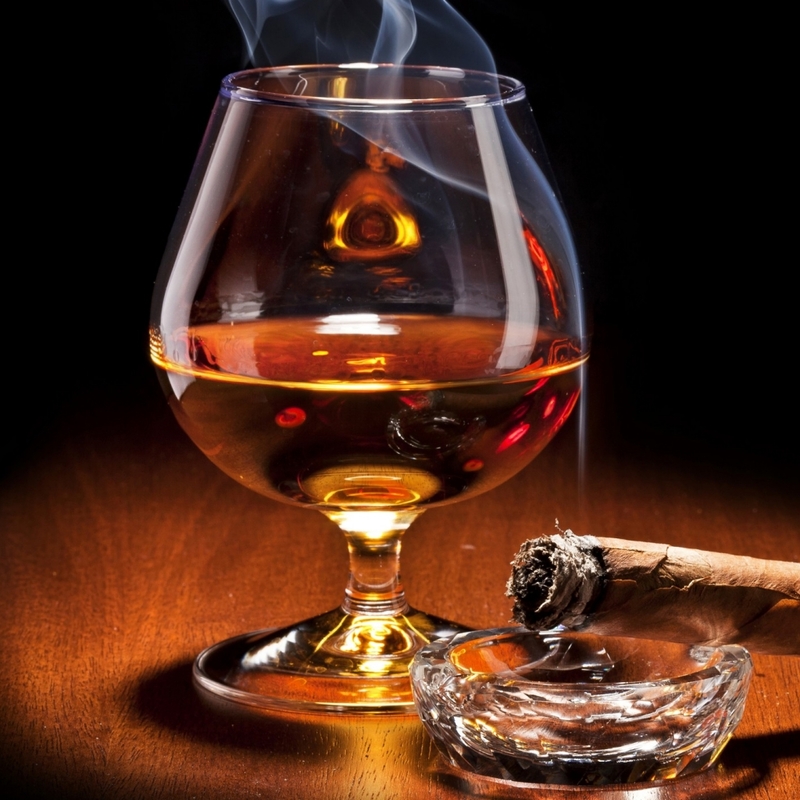 The word “brandy” itself has Dutch origins, as the Dutch called this aged distillated “brandewijn”—literally “burned wine.” As often happens, English adaptation shortened the word to “brandy,” and the name stuck. Note: The word “sherry” is likely a result of the English finding the word “jerez” (pronounced in Spain as “Hair-eighth”, with a throaty “Ha” and a lisp on the end) far too difficult and cumbersome to vocalise in the blistering Andalucían heat. There are different strength levels of the “fire water” base for brandy, and the lowest intensity spirit (which makes the best brandy) is still known to this day as “Holanda” in Spain. This product is generally only around 33% abv, the decreased amount of alcohol allowing the finer notes of the resulting brandy to shine through. Unfortunately for brandy lovers in the USA, laws there require anything labeled as “brandy” to be 40% abv or higher, forcing the hand of exporters and perhaps contributing to the misunderstanding of Brandy de Jerez by a market with big potential. 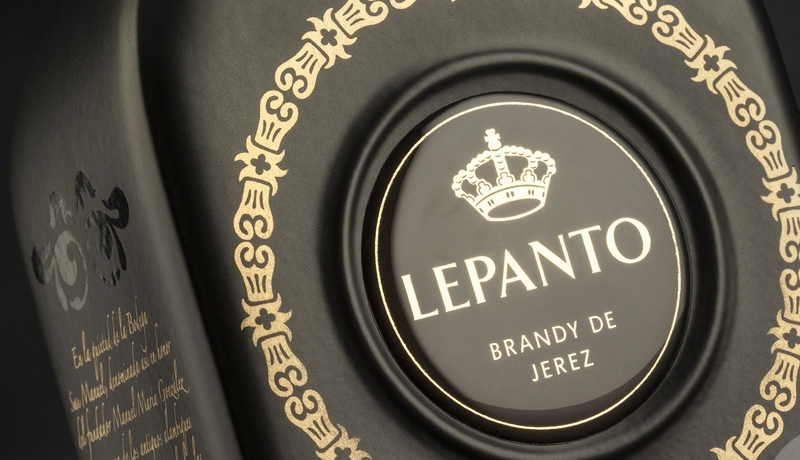 Of the 80 million bottles produced annually of Brandy de Jerez, 20 million are exported, the majority of which are ultimately consumed in the former Spanish colonies of The Philippines and Mexico. Brandy Facts: In order to grow enough grapes to produce 80 million bottles of Brandy de Jerez annually, the equivalent of 80,000 football (soccer) fields of vines must be harvested. And, in order to produce one liter of brandy, it is necessary to distill four liters of wine. If you have Spanish brandies you enjoy, please share them!! We’re always on the look out for new libations to enjoy!